It is a logical contradiction, but one which can benefit cannabis entrepreneurs: despite being banned by federal law, marijuana and marijuana products can be protected by federal patents. Problems with theory and logic notwithstanding, cannabis business owners can protect and enhance their business interests with an understanding of the patent process. Determine what type of protection is most appropriate for your intellectual property. There are many resources available to holders of intellectual property, including: patents, trademarks, servicemarks and copyrights. MArketing plans, business plans, and trade secrets can also offer protection for intellectual property held by a business entity. 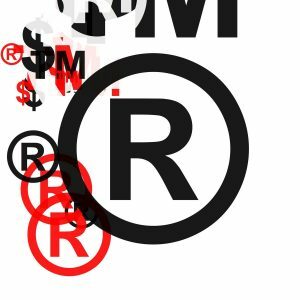 Determine whether your intellectual property is able to be patented. IP which has been publicly disclosed cannot be patented. A search of public disclosures must therefore be performed prior to applying for a patent. Literary, dramatic, musical and artistic works can only be protected with a copyright – not a patent. Laws of nature, physical phenomena and abstract ideas cannot be patented, nor can ideas which are not useful or offensive to public morality. Determine which type of patent you require: utility, design or plant. Prepare and submit the written application and fee. In spite of marijuana’s classification as Schedule I drug, the Patent Office has been issuing cannabis-related patent since 1942. Forbes reports that fifteen hundred applications for cannabis-related patents have been submitted. After rejections and expirations, approximately 500 cannabis-related patents remain in effect in the United States. There are two main types of patents which will most benefit cannabis entrepreneurs. Plant patents narrowly protect a single “parent” plant and its direct descendants. Utility patents, by contrast, are more broad, and therefore more powerful. According to David Cohen, Ph.D., ninety-five percent of all patents issued in the United States are utility patents. These can protect such intellectual property as: compositions, formulas and methods of cannabis preparation; the method by which a particular strain interacts with human cannabinoid receptors; and methods of treating symptoms with various forms or strains of cannabis. The conflict between federal patent law and federal criminal law creates yet another complication for cannabis entrepreneurs looking to patent their marijuana-related intellectual property. All documents submitted to the United States Patent and Trademark Office can be introduced as evidence in criminal proceedings against a cannabis business or business owner. Thus, if the description of the product constitutes an admission of violation of federal law, the patent application could form the basis of a federal criminal indictment. Cannabis entrepreneurs should carefully have any patent filings reviewed by both a patent attorney and a criminal defense attorney prior to submitting them to any federal agency. Despite the fact that marijuana is still classified as a Schedule I narcotic under federal law, patents can still be obtained for cannabis products pursuant to federal patent law. An experienced cannabis lawyer can protect the financial interests of cannabis business owners through patent establishment and defense.